Shoes are tiny but can really damage the pristine image of your house or the specific homey sections but don’t worry we have a cost free solution to this. 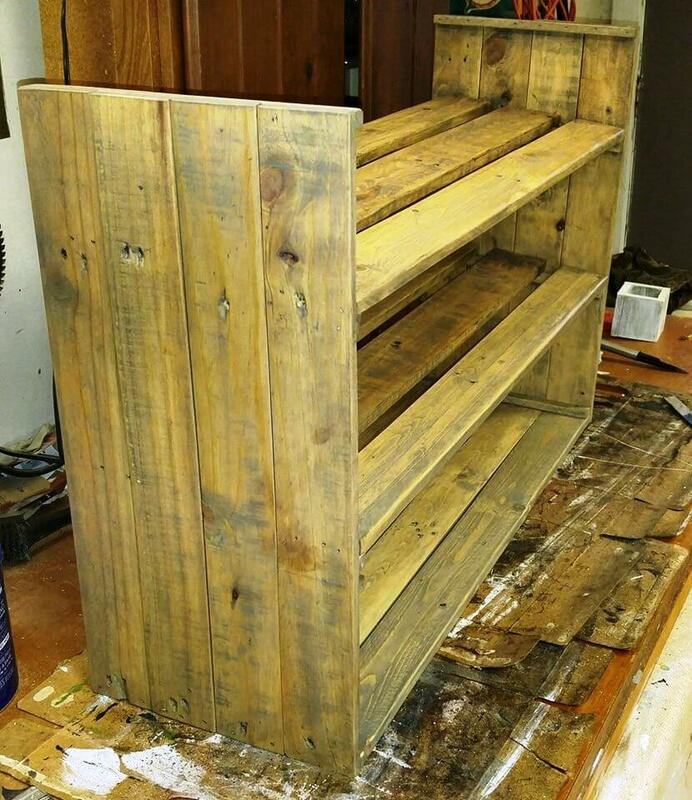 Enhance the neatness of your bedroom or entryway space with the pallets by making this simple yet functional DIY pallet shoe rack. 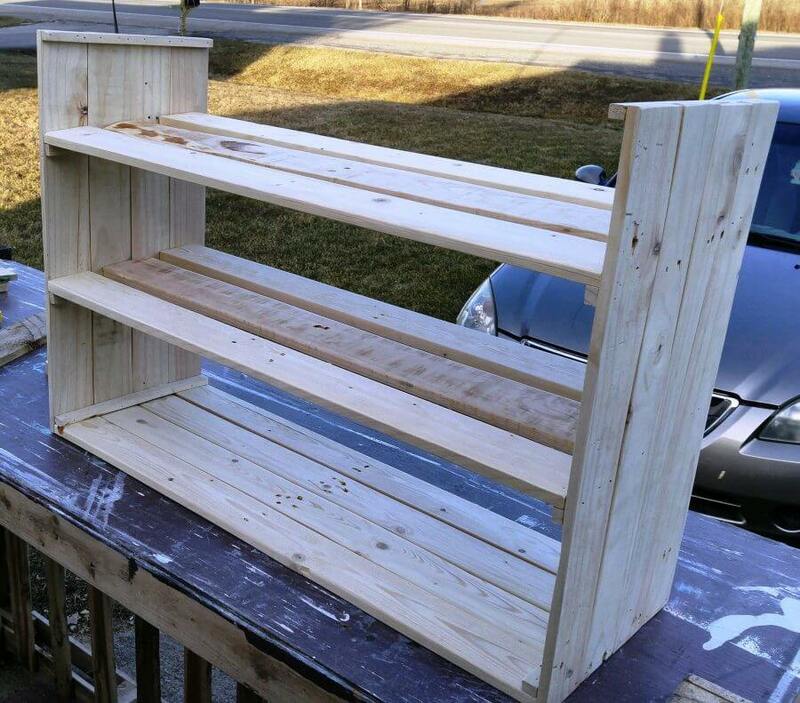 This shoe rack is some easy to make that even the beginners can go very good with it. All you need to do is just collect some pallets and then dismantle them to get the separated pallet slat or plank pieces. 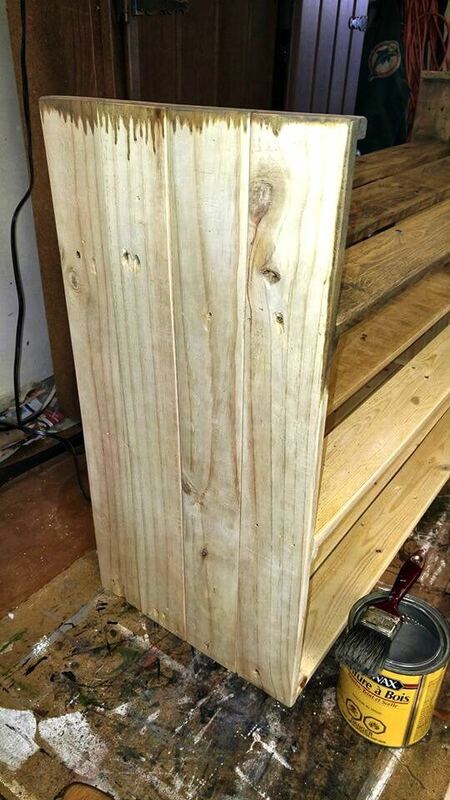 Just nail together these slats and start building the shoe rack with base and sides first. 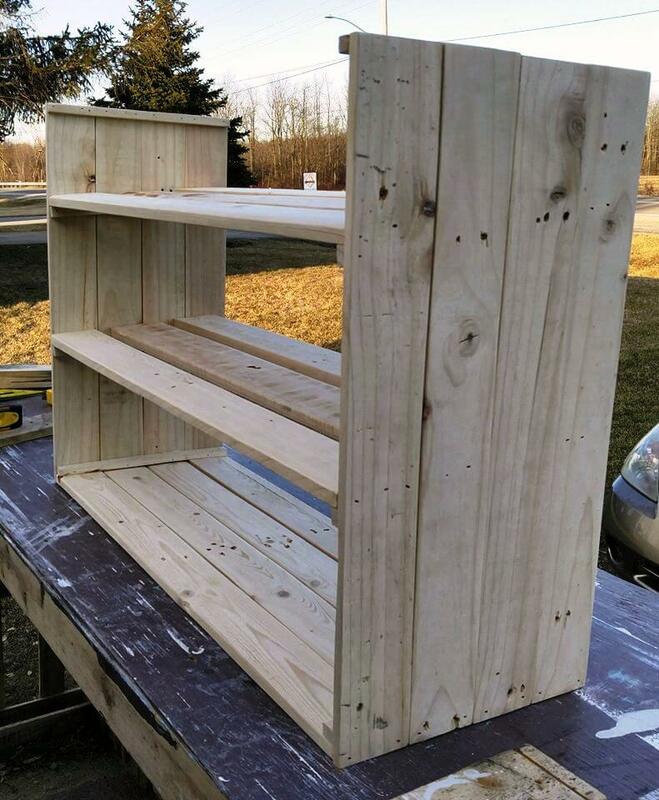 Then stack the pallet pieces and make the build in shelves which are three here but you can increase or decrease this number per your choices. Slippers, joggers, office shoes etc you can arrange and organize all your footwear quite in order on this shoe rack and approach easily at the time of need. 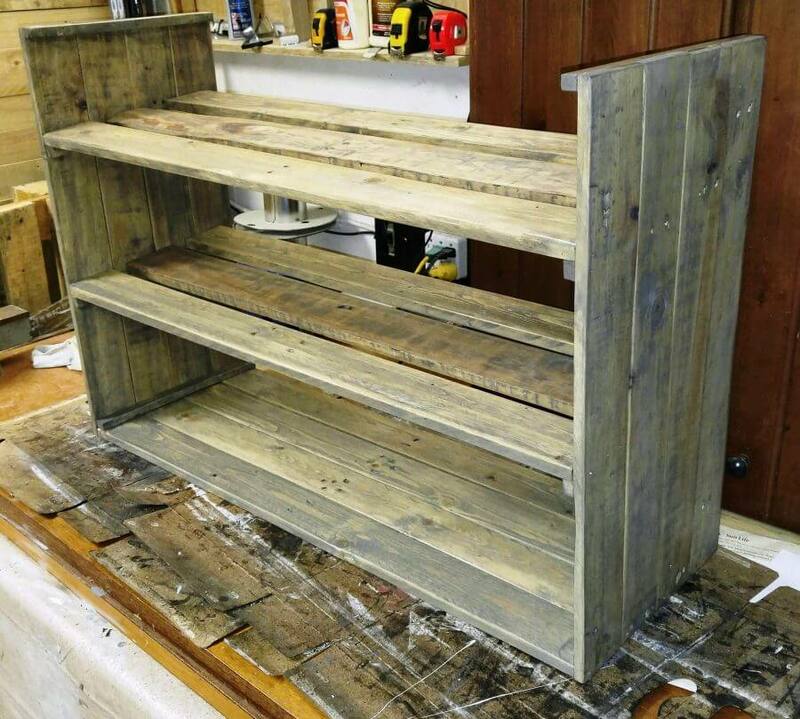 It looks rustic and natural in that light wood stain and you can stain it per your decor demands too. We have also published on 300+ Pallet Ideas and Easy Pallet Projects You Can Try post on you should really try all these for your home.